If you are suffering from acne and want to know if Aloe Vera acne treatment will help in making your condition better, then the answer is definitely yes. But if you want to know if Aloe Vera acne treatment will cure your acne, then the answer is a big NO. Aloe Vera definitely helps but it does not cure acne. Let's go back a little and start afresh with what actually is Aloe Vera and how it helps in dealing with acne. Aloe Vera is a natural product; it is the inner part of the Aloe Vera plant. Aloe Vera has been used for ages for various medicinal reasons, for treating damaged broken skin, burns, and even for intestinal problems. It has been used both for internal and external purposes. It helps the skin to repair itself and thus accelerates the healing process. Aloe vera acne treatment helps in reducing the redness and swelling and unlike other over the counter medicines it does not make the skin dry and taut. In fact, it helps in making the skin overall healthier. But as mentioned earlier, it does not help in curing the condition. The application of Aloe Vera soothes the skin and brings respite from the acne for the time being. But it only addresses the symptoms namely the redness of the skin and the inflammation and the itchy sensation but it does not address the root causes of the problem. The root causes of acne lie deep underneath and just a local application of Aloe Vera cannot solve the problem. And since the root causes remain unaddressed, the acne comes back quite often, even after the symptoms have been eradicated. The causes of acne are many such as an imbalance in the levels of hormone, build up of toxins in the body, the sebum getting mixed up with blood and lymph and thus allowing the bacteria to form acne. Stress can also cause acne. Since there are many causes, it becomes important to identify which ones are promoting the formation of the pimples in the person. 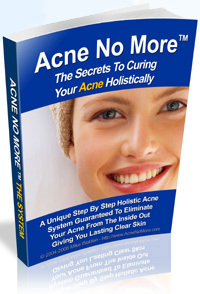 If this is not done, the acne may comeback because the root causes remain within the body. Aloe Vera soothes your skin, but it does not actually do anything about the underlying causes of acne. The only perfect and complete solution for treating acne can be the holistic approach. The holistic approach unlike the conventional methods addresses not the symptoms, but the actual underlying causes of the problem. By adopting a healthy lifestyle, with the help of a healthy diet and mindset, by cleansing and detoxifying your body, by achieving the right hormonal balance, the holistic approach will make you feel healthier and more attractive. By adopting the holistic approach you will not only be able to cure your existing acne but also be able to prevent them from recurring again.